The start of the golf season is almost here and the Billy Casper Golf (BCG) team is excited and ready to make 2019 a great year. Below are a few top-of-mind topics and initiatives which may prove helpful. If you’d like to discuss further, kindly contact me. Competition for star employees has never felt fiercer. January marked the 100th consecutive month of job creation with more than 300,000 jobs added to the economy. The average hourly earnings matched the nine-year high, the most significant annual jump in nearly a decade. The hospitality sector continues to show especially strong growth. As such, implications for golf course owners abound: how do they increase revenues to offset wage increases, and remain competitive and compelling to attract and retain talented staff for the long term? At BCG, proper training of and clear communication to purpose-driven and well-guided teams lead to achieving revenue goals. At BCG, we continuously monitor review platforms to track feedback. Timely responses help improve star ratings and lets guests and members know the golf course cares. Google reviews can help to improve Search Engine Optimization (SEO). Optimizing website keywords is as imperative as organic SEO, which is typically five times more effective than paid search, and 72% of customers who search locally visit a location within five miles. In early March, BCG celebrated its 30-year anniversary. Like many friends and clients, our company has morphed, innovated and refocused over the decades. Since inception, we remained true to our Founders’ vision – being the best operating team in golf. This is regularly communicated, shared and reinforced, so there’s widespread understanding and buy-in of what it takes to achieve the vision and its corresponding goals. Initiatives may change, but as a golf course owner, business leader and department head, spend time developing your mission statement and share ad nauseam with each team member. Provide the qualitative and quantitative clarity of what success looks like, staff’s unique roles for achievement, and WHY it’ll benefit their professional and personal well-being. Looking for an opportunity to increase engagement and expand the community using your facility? The #inviteHER initiative seeks to create enjoyable, welcoming experiences for women interested in trying (or re-trying) the game of golf. Participants are introduced through a group lesson, complimentary clinic, driving range session or on-course “play.” Focused on connecting women to golf through invitations from people in and outside their personal and professional, male and female networks, #inviteHER nurtures their interests in comfortable environments. Specifically, the invitation provides each recipient with a sense of importance among like-minded women. A product of WE ARE GOLF and the LPGA Women’s Network, #inviteHER gives savvy course operators a new way to appeal to non-golfers, as well as occasional and even more avid players. 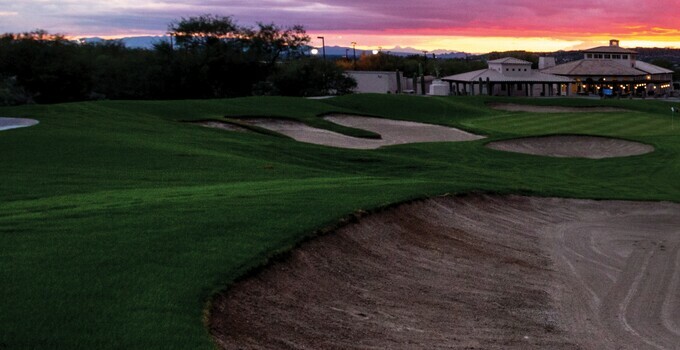 A recurring struggle for real estate-centric golf course owners (Developers, HOAs, POAs and CDDs) is growing rounds and revenue from “outside the gates.” BCG focuses on three simple yet effective tenets: experience, community and engagement. How are you positioning access to play your course when it’s ostensibly “walled in?” Have you created exciting and inclusive programming that elicits a “crave” reaction while balancing guest participation without compromise to preferred treatment of residents and members? Have you professionally surveyed the community whereby data helps identify needs, wants and corresponding opportunities available to increase engagement? In our experience, survey tools “in a box” are a dime a dozen; however, effectiveness is predicated on the sequence and quality of questions, and the frequency of survey distribution. From there, course operators reduce guesswork and are properly equipped to make purposeful changes.